and effort of designers, contractors, suppliers and owners in Ontario. 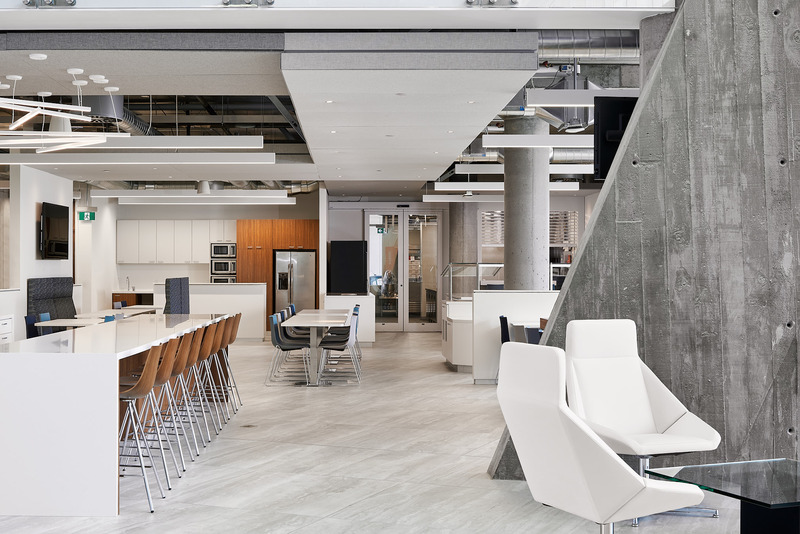 Tomlinson used the design and construction of the new headquarters as an opportunity to establish a unique and distinctive identity, in a building that embraces Tomlinson’s core values of quality, environment, innovation, people, excellence, teamwork, and customer focus. With a focus on sustainable design, The CORE integrated natural and built landscapes into its planning. 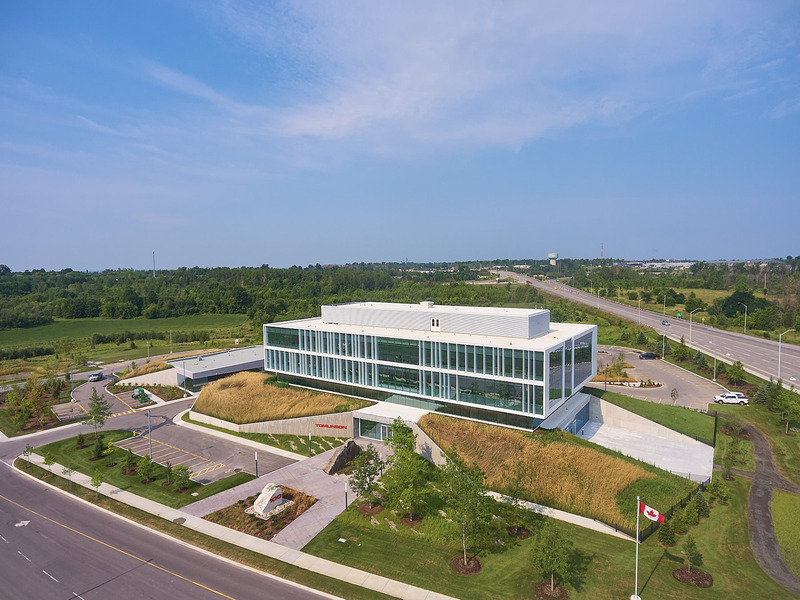 The location of the head office was selected based on its importance as the southern ‘gateway’ to the City of Ottawa and drew design inspiration from the local limestone outcrops, mature woodlands, fencerows, and rural aesthetic. To align the rural context with Tomlinson’s corporate history, The CORE appears to emerge from the ground, alongside berms planted with wild grass, into a restored, re-naturalized landscape. Tomlinson’s involvement in mineral extraction, earthwork, and infrastructure formed the basis of the building’s design. To achieve this, the building was inserted into an undulating, one-storey landscaped berm, which extends over the entire property. Openings at each entrance bisect the berms supported by concrete “wingwalls”. Sloping, architecturally finished concrete line the entrances. This architectural concrete was formed with rough plank pinewood to give a unique finish. The spacing and surface of the wood formwork created a natural-look and feel to the surface of the exposed concrete wall. Natural look products and finishes were utilized throughout The CORE to represent Tomlinson’s materials divisions. 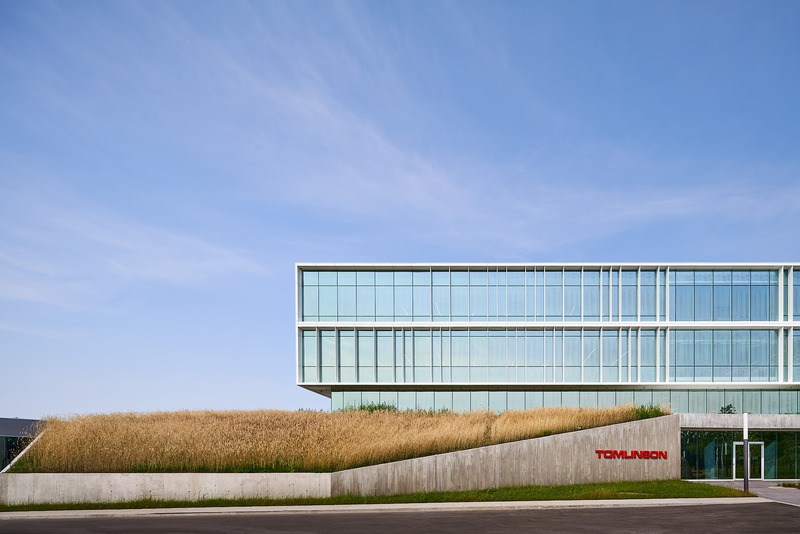 The design of the building, and its construction into the berm, expresses the natural and raw characteristics of earthwork and reflects the licensing process that Tomlinson undergoes for its quarries from mining to end-of-life rehabilitation. Rehabilitation of quarries require thorough investigation and consideration of the land, the vegetation, and wildlife with efforts made to protect the natural environment and endangered species. The ground floor was embedded into the landscaped berm and opens into a three-floor open lobby and atrium. A three-storey interior atrium supports the development of a strong community between company members and internal divisions. The large open lobby provides a town-square setting, encouraging interaction between staff and visitors. Large meeting areas and breakout rooms on each floor to provide common meeting points between all divisions. 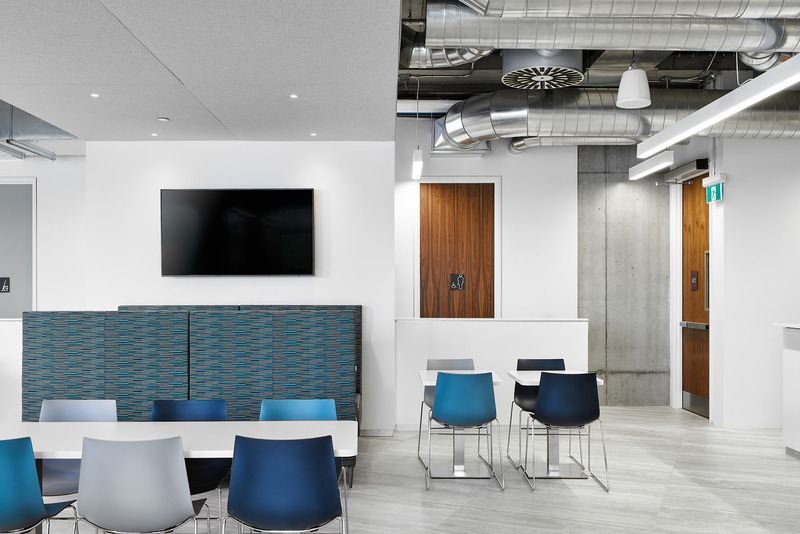 Fluidity between areas was integral to encourage community within the company.